Epidemiology links exposures to health outcomes. For mineral fibres, exposures have been defined inconsistently and characterized poorly in the historical studies upon which most of our epidemiological knowledge is based. This is due in part to the nature and development of epidemiology itself, in part to the shifting understanding of mineralogical definitions and their importance for health outcomes, and very largely to a failure of communication between health scientists and scientists in mineralogy and allied fields. Nevertheless, for a subset of mineral fibres including, but not limited to, commercial asbestos varieties, a great deal is known. This includes on the exposure side physical characteristics of fibre chemistry and fibre dimensions. Exposure concentrations, routes of exposure, internal dose characteristics and effects, and timing of exposures have all been explored with some success. The epidemiology of mineral fibres is overwhelmingly about ‘asbestos’, and this chapter is largely confined to that set of fibres. 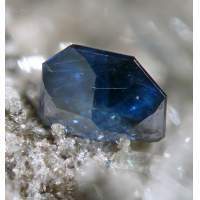 There are other fibres of concern (synthetic vitreous fibres, erionite and more exotic amphibole varieties such as ‘blueschist’ composed of fibrous glaucophane and winchite amphibole, among others). For some of these, there is a very large database of human epidemiological work; for others there is none yet, as potential human exposures have been recognized only recently. All of them, however, are very much related to ‘asbestos’ in exposure and health-effect characteristics, and this chapter is confined to a discussion of the epidemiology of the asbestos minerals. Summaries of epidemiological study results are available elsewhere, as are comprehensive discussions of individual diseases. Here, the hope is to provide a narrative overview of the historical development and execution of epidemiological studies of asbestos exposure and disease, with an emphasis on exposure measurement problems and techniques. While there are many technical factors involved, occupational status has been and remains a key factor. Exposure measurement has been well recognized as the Achilles Heel of epidemiological study for mineral fibres. Problems in the definition of the diseases themselves have received less attention. Environmental exposures, their measurement, and their relationship to disease status are particularly challenging. For ‘naturally occurring asbestos’ (NOA) fibres, we are only beginning to understand health effects, although it is reasonable to assume that for the most part they will follow the knowledge developed for those produced in occupational studies. The greatest importance for the future then is not to establish health effects, but to identify possible sources of mineral fibre exposure. Once this is done, past lessons of traditional mineral fibre epidemiology can be applied to prevent future exposure and disease.